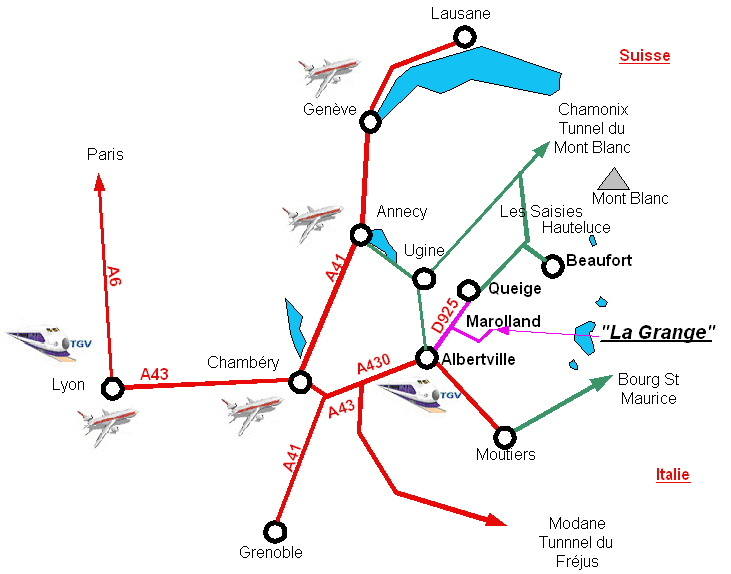 Page: Access and plan Rural lodging " The Barn "
- Motorway A43 then A430 Lyon/Albertville, left Albertville. To take on the right D925 on 4 km for Beaufort on Doron. On right-hand side, to take the road of Pointières on 2,5 km, then to follow the panels "the Barn". The lodging is the last house on the right at the end of the road without exit.